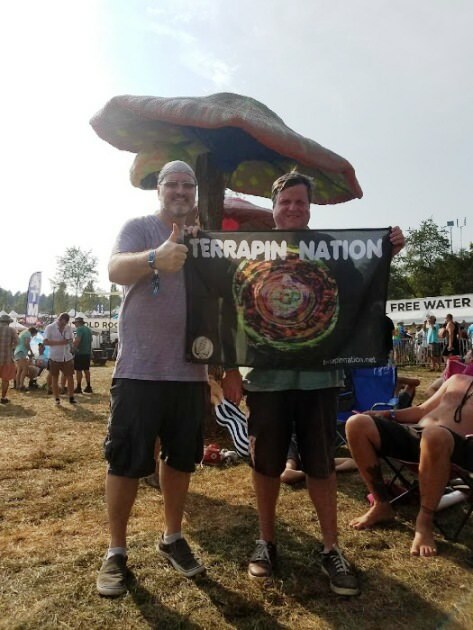 The flag made it to Lockn'! This is Chuckster and Dr. bakes, 8/26/18. 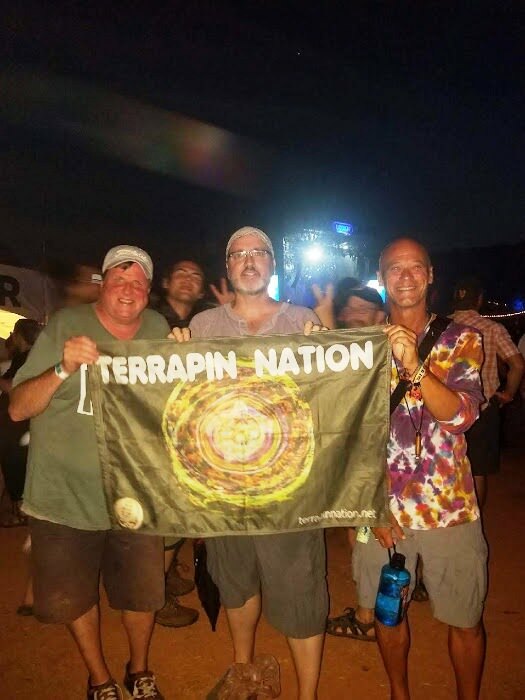 Dr. Bakes, Chuckster and Griff at Lockn, 8/26/2018. Dr. Bakes, Boxorain Chuckster and Griff at Lockn, 8/26/2018. ...I want my body back--Boxorain snatched it! I am happy to report that the flag will be wheels down on the west coast Monday(today) and it is in very good hands. The flag is in the just exactly perfect spot: right by the bay and headed to TXR, thanks to Griff! What a fabulous shot!! 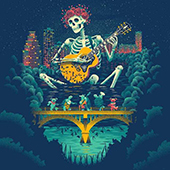 If anyone else isn't headed to holiday shows first, I'd like to get the flag for DSO starting 1/14.